A Southern Grace: say again? Yummy! That is a divine looking cake! My love affair with cinnamon knows no bounds. And pineapple just makes everything better. I love how you think outside the box! Oh I just know this would be so delicious. Good thinking Grace. I'm a huge fan of fresh pineapple and I think this is a great idea. Glad you went for it, then shared it w/ the rest of us. I'll remember the next time we have any extra pineapple in the fridge. Extraordinario, que miga madre mia. Oh yes, we know about your thing for cinnamon Grace. I would happily put pineapple in baked goods, this one looks very delicious. Oh and you forgot hummingbird cake, that's got pineapple in it doesn't it? Grace...I for one am thrilled for your incredibly curious hunting skills. I love pineapple and muffins are fun to make. 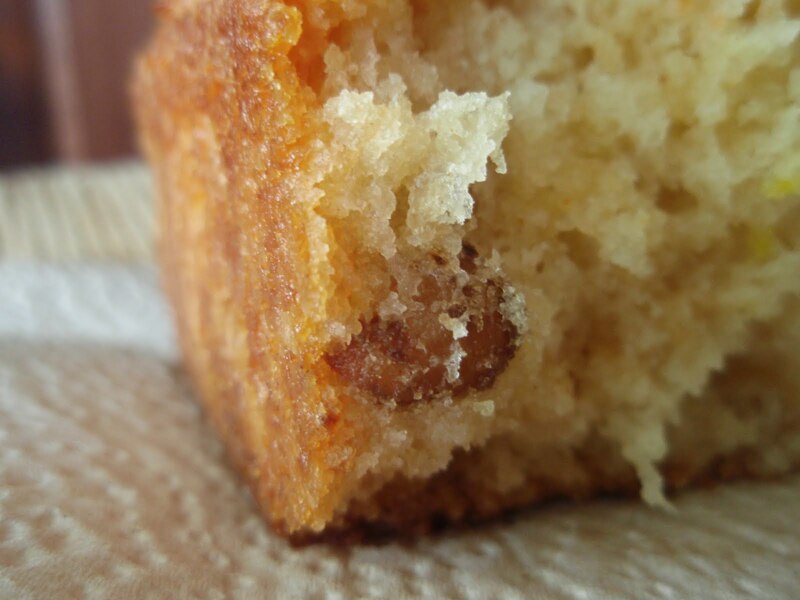 Crushed pineapple sometimes shows up in my carrot cake. I love the sweetness it lends to all dishes. What a great way to use your pineapple and the addition of a package of vanilla pudding makes it even better! I will love these muffins Grace... good job using up that yummy fruit!I have a pineapple cake recipe that is one of our favorites, but it uses canned pineapple. You're right, pineapple does add lots of moisture and sweetness, it reallyl does deserve more credit then it gets! Oh yeah, sounds good to me! It's always fun to use up something that would otherwise get wasted. Pineapple is an unusual addtion in here but i am loving it!! These sound fabulous! You're right: we need more baked goods with pineapple. And, the ginger in these sounds great too. Yeah, that's true. Why is pineapple only celebrated in upside down cake? Unfair, I say! What a great looking muffin! I'm a huge fan of pineapple and putting it into a muffin can only make it better! Yay! SO glad you shared this! That's looking really good, Grace! Going to try this soon. It looks gooey and sticky--two musts as far as I'm concerned. wow what a great way to salvage that pineapple! This picture is worth more than a thousand words. Yum! As always, you are brilliant! 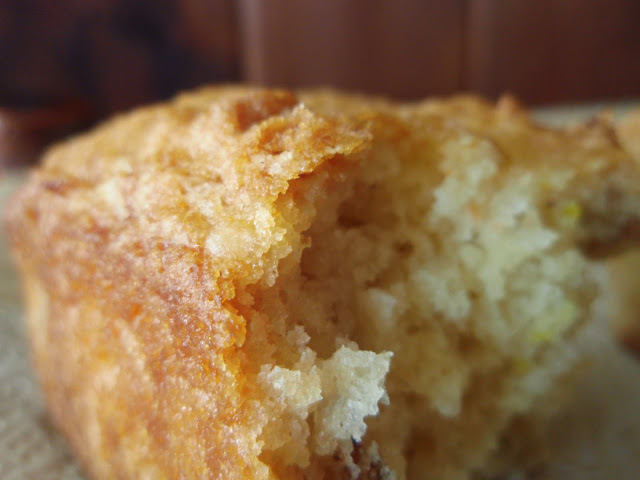 I never would have guessed that a pineapple quick bread would be so delicious. Thanks for bringing pineapple back into the mainstream. It's no fair it is so easily overlooked! I am the same way I hate wasting food! I recently had a pineapple in that exact state and had no idea what to do with it, next time I know! Thanks for sharing! what a great way to use up old pineapple! I would have never thought to do this. Nice work! This one is definitely getting a bookmark. I have tossed pineapple in quickbreads before, and it's a surprisingly good thing! I love the chunk of pineapple staring tantalizingly out of this piece! I love pineapple! the sweet sourness is something totally unmatched! I want some of this cake! After seeing this, I think pineapple belongs in many more baked goods!! Grace, can you make a trip to my kitchen and share your secrets with me? Your baked goods always look like perfection. Pineapple sounds so light and refreshing in these. Yum yum yum!! Looks delicious to me! I love pineapple in any way, shape or form. What a great idea for using up the stuff when it gets past its prime. Mmm...I bet the pineapple makes this nice and moist. Sounds yummy! These are super delicious with pineapple and pecans! I ate so many pecans when I was housesitting in Tennessee that I never thought I would yearn for them. I miss those pecans ... pahcahns. I must make something soon. Pineapple muffins? Wow, it sure looks yummie, like it that you used vanilla pudding mix...and pecan in it...sounds a great combination. YUM - i wish i had this recipe this weekend. I had a bunch of pineapple and was looking for recipes for it. I ended up making pineapple sorbet that was not that great. Next time i will have to try this loaf. Wait, what? No cinnamon? Although, ginger with pineapple sounds delightful! I bet fresh pineapple past its prime is still better than the inferior canned variety many of us are guilty of resorting to :). This looks divine. My first reaction woulda been "gimme." Those look wicked good! Hm, I bet I would have liked the ginger, myself. I love ginger. Heh. I think they look fantastic! I just made muffins with pineapple and we all thought they were tasty. Pineapple muffins sound good to me. For the coconut lovers, I think you could change out the peacans for coconut and have a pretty tasty pina colade muffin too. Mmmm Sounds wonderful. I love this combo of flavors! Oh, my! How beautiful is that? I can't think of better way to use a ripe pineapple. Looks fantastic, Grace! P&P? Pineapples and pecans sound magical together. Hot dang is right! This is a really interesting combination. It sounds fantastic. Looks amazing, on another note of pineapple not being in too many things, my mom use to make a pineapple pudding instead of banana, it was really good, and we all liked saying pineapple pudding better too. I too, have a thing for cinnamon. I double it in any recipe. I love sour cream and pineapple, so I can imagine these muffins would've been so tasty! When in doubt, go ginger AND cinnamon :) And don't forget pineapple rum cakes! yum! This is probably the best pineapple upside down cake that I have ever seen. Your baked delights are always stunning. I love visiting your blog. The crumb on that cake is unbelievable! I love pineapple so much more in a cake than fresh, weirdly enough! The cake with just one cake could look so moist? wow...you are quite a baker! This looks just perfect! While I don't bake with pineapple, I do enjoyed baked goods with pineapple. Perhaps it is time to bridge that gulf. Somehow the pineapple also reminds me of rum. How about no ginger, but add a bit of rum? Well, I just love pineapple in baked goods...pineapple upside-down cake is my favourite cake, my carrot cake is pineapple-a-plenty, i love a hummingbird cake, as well as any cake with pina colada is a go. So this cake fits my love for pineapple just perfectly, especially with the addition of pecans! Your choice of ginger over cinnamon definitely surprises me. I would go with cinnamon next time too! your right we just don't use pineapple enough and there is no good excuse! pecans make such a nice compliment to the pineapple, I would love one of those little cakes!